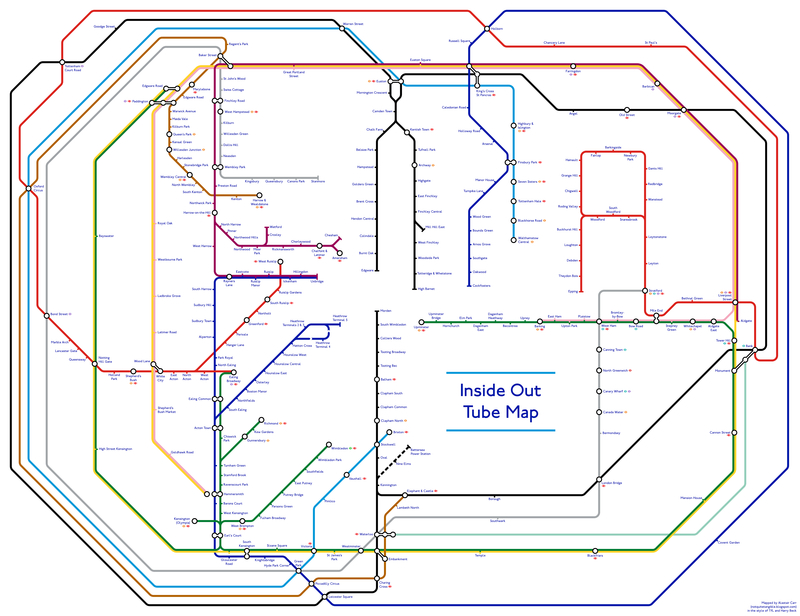 Ever wondered what the tube map would look like inside out? Tube map enthusiast Alastair Carr did, so he decided to create it. It feels slightly unnerving to see Edgware, Upminster, Morden and Uxbridge at the centre of the map, while Leicester Square and Holborn live on the fringes. It's heartwarming, though, to see a tube map which doesn't look empty at the bottom — thanks to south London's relative lack of stations — although upon further study, we think where the space where the title is represents that absence. Previously Carr tackled a tube map based off plans that never happened, and what the tube map might look like in 2040. Take a look at them in more detail over on his blog.